Researchers and engineers at Argonne National Laboratory, with a sprawling campus in the suburbs of Chicago, over the past 20 years helped develop the advanced lithium-ion battery technology now found in some modern cars and trucks. Platts Inside Energy—The Energy Department national laboratory that brought cutting-edge battery technology to the Chevrolet Volt and other hybrid-electric vehicles now hopes to be the vanguard of another automotive power source that many say is poised to grab a big share of the transportation-fuel market: natural gas. 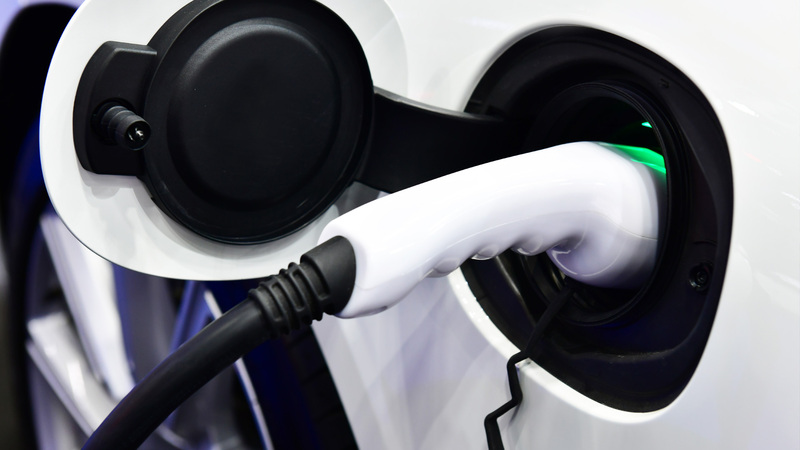 But as the US’ huge natural gas reserves have sparked an interest in natural gas-powered vehicles, the lab is hoping to use its state-of-the-art automotive research facilities to lead the way in natural-gas vehicle testing as well. “Our hope is that there will be a bunch of technologies that need testing,” said Mike Duoba, an engineer at Argonne’s Transportation Technology Research and Development Center. “Certainly that’s the way it has been for electric vehicles and plug-in hybrids and hybrids at the vehicle level and the systems level. That was pretty much our thing: an all systems level, vehicle-level testing for DOE,” he said. The facilities at Argonne have been the main testing site for DOE hybrid and advanced-vehicle researchers. The lab has a suite of testing apparatus, including machines to allow stationary engine testing and powertrain testing, as well as to test a vehicle’s electrical energy consumption and fuel consumption. The lab’s vehicle testing facilities have already been used to benchmark high-profile cars, performing the final tests in 2010 on the advanced, high-fuel efficiency vehicles vying for $10 million in the Progressive Automotive X-Prize. In addition, the lab has done testing on AT&T’s fleet of natural gas vehicles for Clean Cities, a DOE program aimed at supporting efforts to reduce petroleum use in cities. And the lab would like to one day be known as the go-to place for natural gas vehicle testing. “We have all that equipment, so we are looking forward to this stuff being made available, and we are hoping DOE will be in a position to say ​‘We need to validate these, we need to benchmark these,’ and maybe even come up with some standard test metrics, standard test procedures too, which is something we are also involved in,” Duoba said. Thomas Wallner, an Argonne engineer who works on advanced engine technologies, underscored that point, noting the lab’s expertise with engine components, including internal engine friction and lubrication know-how, and cooling specialists. Even research into hydrogen-powered vehicles has resulted in a legacy of equipment ready to be used on natural gas vehicles. “There seems to be a new wave of [compressed natural gas] interest coming,” he said. While the Obama administration has backed electric vehicles with billions of dollars, plentiful US supplies of natural gas and low prices have increased interest in natural gas vehicles. Natural gas has been taken up by fleet vehicles and some large and medium-sized vehicles, such as busses, but it is currently available in only one passenger car, the Honda Civic GX, though conversion kits are widely available to allow cars and trucks to run on natural gas. Expanding the number of natural gas vehicles on the roads could provide a number of benefits. Natural gas is cheaper, and it is a domestic source of fuel, unlike much of the oil imported into the US from the Middle East and other regions. In addition, burning natural gas produces fewer greenhouse gases and other pollutants than gasoline and diesel fuel. But there are hurdles. Natural gas takes up more space in a car’s storage tank per mile than gasoline, resulting in a shorter range. And while the number of refueling stations is on the rise, they are still harder to come by than gasoline stations. While home refueling is an option, needed compressors are expensive. In his State of the Union speech in January, President Barack Obama touted the importance of using domestically produced natural gas as a transportation fuel, and underscored that support during a visit to a UPS center in Las Vegas, Nevada the same month. In a speech there, he called for tax credits to support commercial natural gas vehicles, and grants to help build fueling stations. US natural gas production has grown so much in recent years that Obama has said he is considering increasing liquefied natural gas exports from the US to Japan (IE, 7 May, 1). While the emphasis that Obama and Energy Secretary Steven Chu have put on natural gas has not yet filtered down to a big boost in project funding across the DOE complex, the agency is increasing its attention on the fuel. The department’s Advanced Research Projects Agency-Energy has offered $30 million in funding to support research into advanced CNG tank and compressor technology. In the meantime, Argonne researchers are already beginning to attack some of the hurdles that stand in the way of wider adoption of natural gas vehicles. One way they are doing this is through research on an improved ​“bi-fuel” engine that can run on both gasoline and natural gas. Such engines are already used, but according to Wallner, designing an engine from the ground up to run on both fuels, rather than simply modifying a gasoline engine to also run on natural gas, could lead to higher efficiencies. One way to get at more efficiency is through the use of ​“direct injection,” a technique used in gasoline cars - and studied at Argonne for hydrogen vehicles - that researchers at the lab are looking to use with natural gas. In most fuel-injected vehicles, the injector mixes the fuel with air as it is moves into the combustion cylinder, but with direct injection, the fuel is sprayed directly into the cylinder, which allows it to burn more efficiently. Those efficiencies could in turn result in longer range for the vehicles. “The more efficiency you get from a natural gas engine the smaller your tank can be, so you get benefits to having a higher combustion efficiency,” said Argonne’s Duoba. By Derek Sands, Platts, Inc.